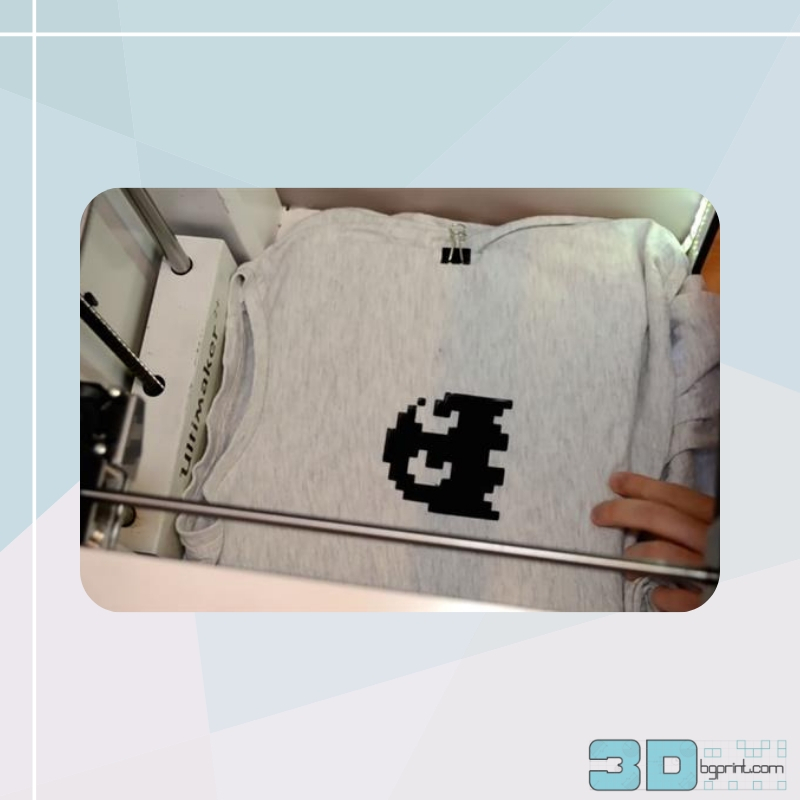 While we’ve written a ton about 3D printed garments and fashion, most actual wearables have remained somewhat outside the realm of DIY desktop 3D printing, that is, until now, as maker Simone Fontana has enlightened us all with a tutorial showing how to 3D print personalized decorations and decals directly onto t-shirts. The tutorial, posted on Fontana’s popular youtube page, details how exactly one can 3D print a design directly onto a fabric, and surprisingly the process is quite straightforward! All you need for the 3D printing project is a desktop 3D printer (Fontana uses his Ultimaker 2+), design software, some filament in a color of your choice, and a plain t-shirt. 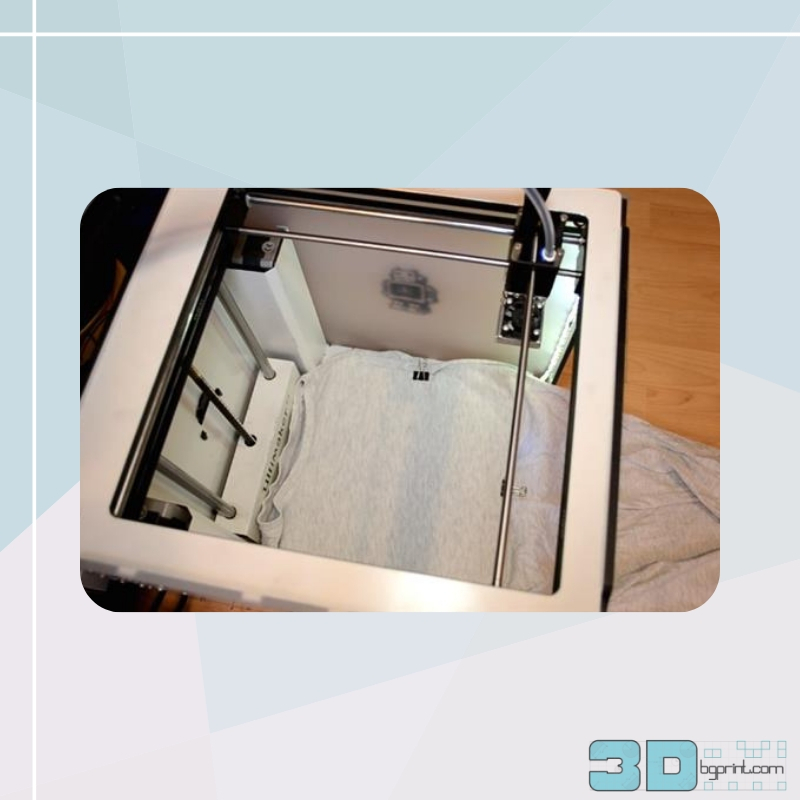 Before you get started, however, it is important to note that while this may seem like a beginner project, calibrating the 3D printer with the t-shirt can be a bit tricky, so only attempt to do so if you’re comfortable with your machine. Errors in calibrating can lead to breakages or problems with your 3D printer. Now let’s get into how Fontana made his own awesome Pac-Man ghost t-shirt. 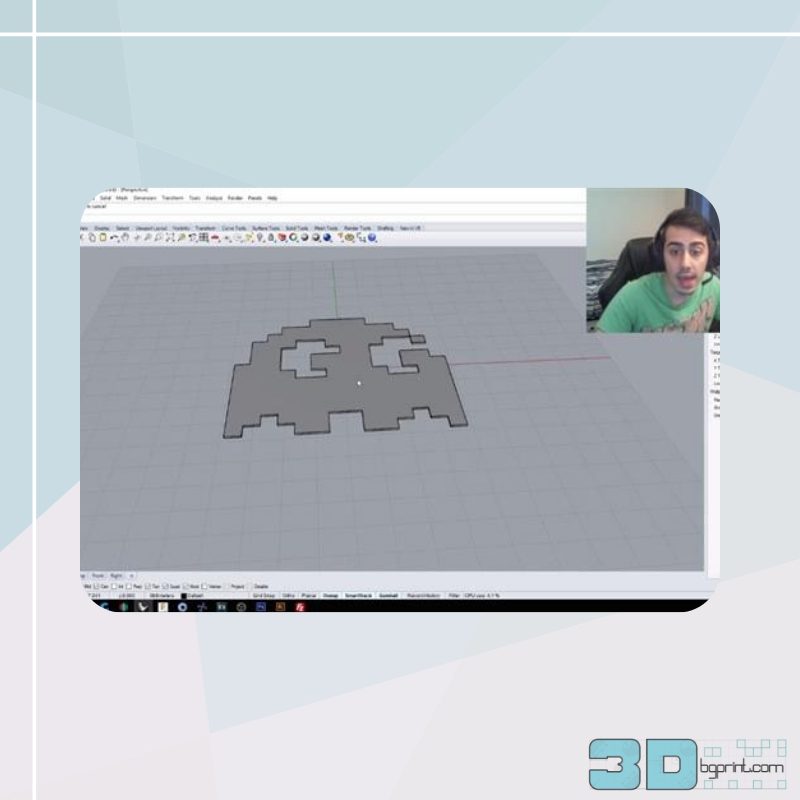 First, the maker made a 3D model of the ghost decal to be printed. To do this, he simply traced a graphic of ghost on Illustrator and exported the trace in a file format compatible with his 3D modeling software, Rhino3D. Once imported into Rhino, Fontana simply extruded the traced shape at 0.6mm. The result should be a thin object made up of only about 3 layers (if you’re printing at a 0.2mm layer height) which should retain some flexibility once printed. Of course, you can design your own graphic for the t-shirt directly in a 3D modeling software if you have the design chops. With the Rhino3D model completed, Fontana imported it into his splicer program, Simplify3D, which was preloaded with his Ultimaker 2+ settings. In terms of print settings, Fontana explains that infill does not really matter since the object will print as solid, and simply to ensure that your layer height is set to 0.2. At this point, if you’re satisfied with your design and print settings, your design should be pretty much ready to print. Before hitting the print button, however, you’ll have to do a couple of important things: place your t-shirt onto the build plate, and then calibrate your 3D printer accordingly. The first of these two steps is simple enough: simply place your t-shirt or fabric flat onto the build plate, ensuring that it is centered and that there are no wrinkles or bumps. Fontana used three clips to hold the t-shirt firmly in place. 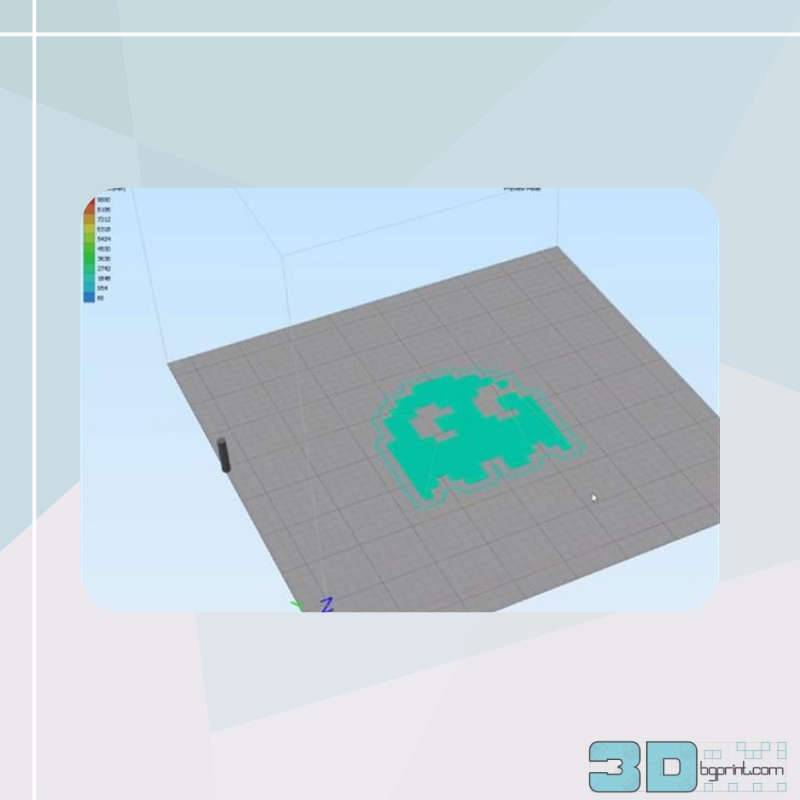 Once that is done, you can calibrate your 3D printer, which we’ll remind you, can be the trickiest part of the process because you’ll have to make sure the extruder is in the optimal position to print on the t-shirt and not come into contact with it directly. For his own print, Fontana used a Formfutura black PLA filament in 2.85mm diameter, but you should be able to use your preferred filament for the project. As you can see in the video, the printing process goes relatively smoothly with the three layers of the object printed cleanly onto the t-shirt. At the end of the print, Fontana simply peels off the border and removes the t-shirt from the build plate with the decal stuck onto it. The results are pretty impressive, as Fontana wears his very own custom ghost t-shirt in the video. For washing the t-shirt, we might suggest peeling off the decal before washing, or to hand wash it carefully to make sure it does not get ruined. Be sure to comment below if you make your own custom 3D printed t-shirt—let us know how it goes!